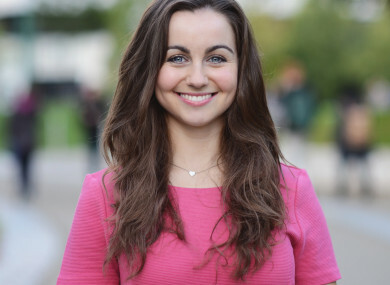 THE EMBATTLED PRESIDENT of UCD’s Students’ Union has written an open letter to students as she faces an impeachment referendum. A petition calling for Katie Ascough’s impeachment was accepted by the union’s Returning Officer Stephen Devine after it collected 1,200 signatures. The campaign calling for the impeachment of Ascough was launched after she made the decision to remove a page about access to abortion from a magazine handed out to new students. Ascough will take annual leave until voting is finished on 26 October. In an open letter to students, Ascough appeals for students to back her, while saying that she followed the legal advice from the SU’s solicitors. The legal advice, signed by Richard Hammond of Hammond Good, warns Ascough that the SU could be exposed if it carries the information. He says that under the Regulation of Information (Services outside the State for Termination of Pregnancies) Act, 1995, the SU and its officers could be fined. Having had the opportunity to peruse the intended publication, I have some serious concerns about UCDSU proceeding in the manner envisaged. For reasons I will set out hereunder, I have formed the conclusion that distributing the handbook with this text will almost undoubtedly constitute a breach of the Act in one respect, and may well be at risk of being considered a breach of the Act in two other respects, depending on how any case on the points proceed. “The penalty for breaches of the Act are a Class B fine (not exceeding €4,000) and forfeiture of the offending material (id est on top of the fine, the handbooks could be seized and destroyed). Anyone who is actively involved in the breach of the Act or of sanctioning the breach could be amenable to prosecution. Therefore, if, for example, it was a Presidential decision to proceed with the circulation of the handbook with the text that I reviewed, even if you did not hand out any handbook yourself, you could still face prosecution. Ascough, who is openly anti-abortion, said that while the information was changed, the magazine still directed students to services to help with crisis pregnancies. She said that the cost was €7,000 and potential fines were far in excess of that. Ascough outlines her progress in her time in office, including the installation of microwaves around campus, before saying that the move against her undemocratic. “In the midst of much achievement, a group of students has called for my impeachment because I chose to not break the law. Another alarming matter is the bullying tactics of a group of students to try and discard a democratically elected SU president. Some members of the Impeach UCDSU President campaign posted pro-impeachment tweets and Facebook posts on the day of my election back in March, before I had the chance to make even one presidential action or decision. It was clear from the outset that some students didn’t want to give me a chance as SU President because of my views on abortion. “In the interest of fairness, of democracy, and an effective SU, please tackle bullying and use your vote to build a fairer, freer, and more democratic UCD. We don’t have to agree on the issue of abortion, but we should be able to respect each other and not endorse unfair accusations. According to the University Observer, four UCDSU sabbatical officers were opposed to Ascough’s decision to reprint the magazine. Email “'Bullying tactics to try to discard a democratically elected president' - UCDSU head writes open letter to students”. Feedback on “'Bullying tactics to try to discard a democratically elected president' - UCDSU head writes open letter to students”.